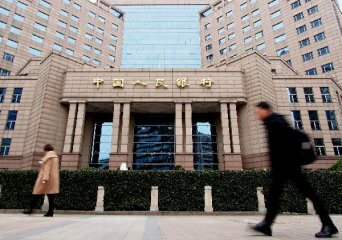 BEIJING, April 15 (Xinhua) -- China's central bank continued to skip open market operations for the 18th consecutive trading day on Monday, citing abundant liquidity in the banking system. The People's Bank of China (PBOC) said liquidity has been at a reasonably sufficient level. No reverse repo is due on Monday.